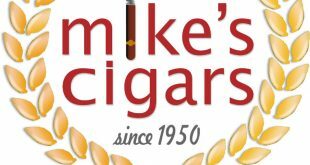 Based out of Mesa, AZ, TNT Cigars prides itself on providing the best deals on premium cigars online. You’ll find a wide range of cigars from big name brands to small boutique blends. In addition to selling standard boxed cigars, TNT Cigars also has many different sampler packs available, allowing you to purchase in small quantities of various brands and blends. This is ideal for trying new cigars! TNT Cigars has a small selection of cigar accessories as well. Shipping is reasonably priced, but not free. However, you’ll find many cigars at a discounted prices. The TNT Cigar website is rather simplistic and doesn’t offer many features, rather it’s a straight shopping cart. Selection of cigars, overall is limited, though for the ones they do carry, prices are reasonable. Most of their cigars appear to be regularly stocked as well. Box opening and review - TATUAJE T110 "Thermonuclear"